JUNE IS NATIONAL FOLKLORE MONTH! Explore the Library of Congress while enjoying folklore with your students in the month of June, which is National Folklore Month. Folklore consists of many aspects of our culture … legends, music, oral history, proverbs, jokes, popular beliefs, fairy talks, stories, tall tales, and customs that are the traditions of a culture. Why not settle it socially in Oyster Bay? Students of all ages enjoy reading, listening, watching, and acting out folklore. 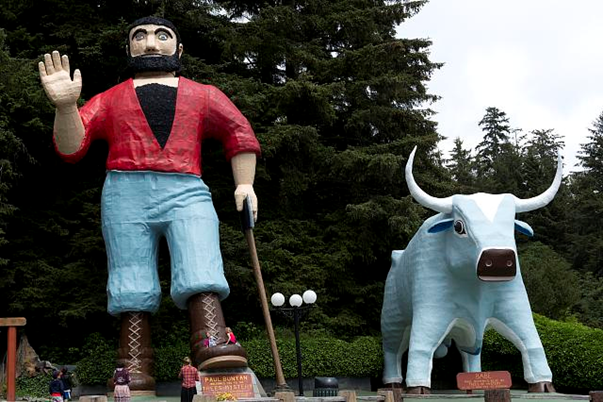 One of the major American folklore stories we celebrate is Paul Bunyan Day – June 28th. This legendary lumberjack wears a red flannel shirt and has a giant pet - the giant blue ox known as Babe. 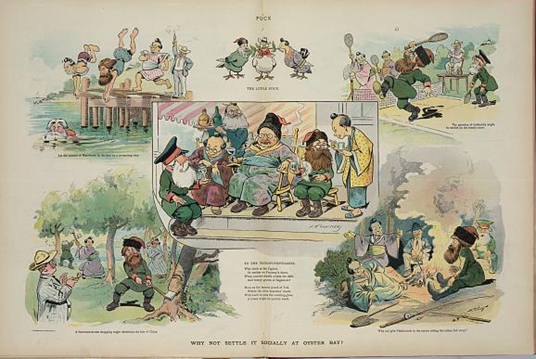 The history of Paul Bunyan Day has its roots in an early 1900 story by James MacGillvray. The tale was then retold by author William Laughead in 1924. If your class is looking for something fun to do, you could come in, dressed up, and acting out a few of the Paul Bunyan or other American folklore tales. 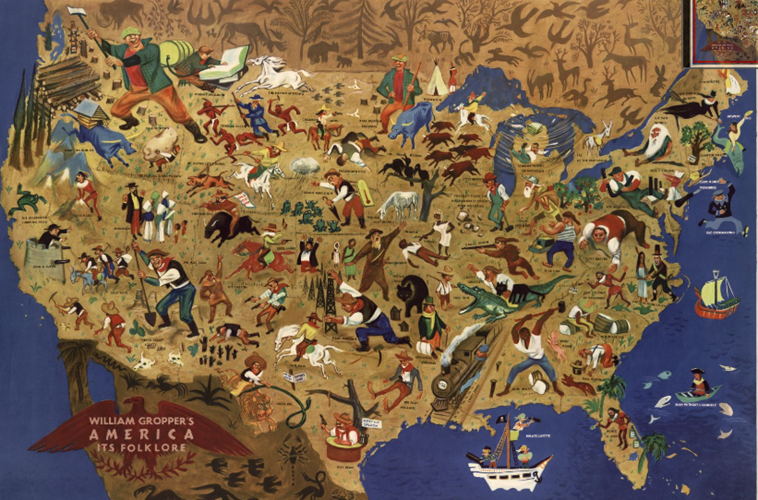 You could also make posters of your favorite story, write a poem about your favorite character, or use the Library of Congress maps to search the many Paul Bunyan statues around the nation. ==> Please post a comment below, telling us how your students brought Paul Bunyan to life in your classroom. What activities did your students enjoy enacting to depict Paul Bunyan? How did learning about folklore improve their understanding of our culture? 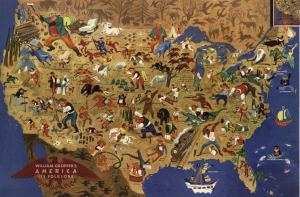 LESSON PLANS & RESOURCES FROM THE LIBRARY OF CONGRESS TO BRING FOLKLORE TO LIFE IN YOUR CLASSROOM! Our Feature Teacher this month is LAURA LUBBEN, Social Media Lead and Facilitator/Trainer for TPS-GSU. When did you take the graduate course, Digital Primary Sources, at GSU, and what lesson plan did you design? I took it in Fall 2010, and my project title was Because of Romek: Preview the Holocaust. It’s based on the novel “Because of Romek,” a holocaust survivor’s memoir. Please tell me how you implemented this lesson plan in your classroom. I used it with my 7th grade English Arts class. We read the novel and we took time to look at primary source photos and analyzed the photo’s content. I had the students identify their own emotion and connect the two. My focus was: The more I was able to make the characters’ experience more personal to my students, the more successful they were in their critiques and reflections. What has brought you the most value from TPS-GSU professional development programs? I believe it would be learning the new technology, teaching my students how to analyze primary sources, learning how to utilize the iPads in my classroom with the new apps, learning from the different teachers and the lesson plans created by them that I was able to adapt and put into my own classroom, and the experience of the teachers or my colleagues – picking their brain and discovering what they know from primary lessons that would make things more meaningful to my students. What inspired you to want to become an educator? I think it was to be able to teach my students in a way that prepares them for the future so they understand new and exciting things. I look forward to trying my best to make my classroom a rewarding success for everyone. I want everyone to be excited about learning and make sure they can learn in a creative classroom so they know they can learn from their own strengths and weaknesses, and so that, regardless of any learning disabilities they know they will get the best educational experience possible. By being creative and teaching with different educational tools, it makes my classroom warm and welcoming to all – they will become strong and organized in their future. I want to reach every student so they know they are important and someone cares about them. What do you enjoy most about being a teacher now? What I enjoy the most is going to school and learning the new theories to help my students succeed, learning the new technology, learning that I don’t know everything so I need to go to conferences to learn more and push my students. I believe that to be an effective teacher, I need to know as much as possible about the teaching spectrum. That’s why I’m currently getting a Masters in Special Education so I can service all students in my classroom – learning how to adapt to teaching and assessment methods for all my students to ensure they are successful. Once I become an expert in the field of Special Education and technology skills, I’ll have a greater impact on teachers as well. I will keep updating my skills and methods so that I will be a greater asset to my team at Manteno and in the city as a whole. Are there any recent achievements you would like to tell us about? I participated with the TPS-GSU Team when we presented the ARIS Student Exhibit at ISTE in San Antonio last year, then I presented as a keynote speaker at the GSU “Grow Your Own Dinner and Seminar” student-teacher dinner. Later this month, the TPS-GSU Team is going to Atlanta for the 2014 ISTE Conference, and I’ll be presenting at four of the events: TPS-GSU Coaches Academy – Implementation and Demonstrated Results; Game Design for and by Students using ARIS at the Computational Thinking in Computer Science, STEM, STEAM and CTE; Let Students Show You How to Design Games – Primary Sources from the Library of Congress and ARIS meet; andComputational Thinking meets Common Core and Educational Games (BM231). Please tell me about yourself and your family. I’m currently a TPS-GSU Trainer and Social Media Lead. I’m a 4th grade teacher at Manteno Elementary School. I have three beautiful children: Adelynn who is in 2nd grade, Kohen who is 1st grade, and Brogan who is 10 months old. I like going on vacations with my children, and we enjoy playing sports outdoors and going to baseball games. Plan Ahead for our Fall Graduate Course: EDUC 7212: Register by Sept. 2nd!